Home is home - The scarf, printed with Bavarian motifs and made of a wool-silk blend not only stands out because it feels good against your skin, but also because of its traditional look. 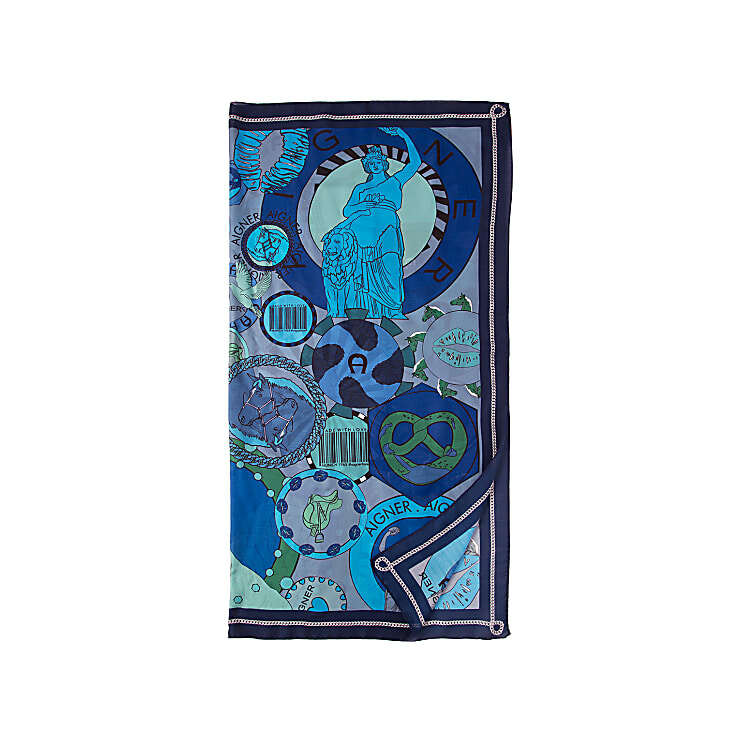 The conscious choice of colours, combined with Bavarian motifs make the scarf go perfectly with traditional garb. Thanks to the large format, the grand foulard can also be worn over the shoulder on colder days.